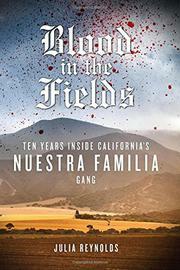 Brisk, detailed exposé of the little-understood gang Nuestra Familia. Monterey County Herald staff writer Reynolds, a recipient of Harvard’s Nieman Fellowship, spent 12 years covering the gang (including as co-producer and writer of a PBS documentary), and it shows in her intense, intimate approach: She begins abruptly, without much context regarding the unique nature of Latino gangs. This one began in Northern California prisons in the 1960s as a rival to the powerful Mexican Mafia and has since gained territory via a street-level offshoot, the Norteños. Reynolds builds a long-term narrative focused on a volatile NF clique in Salinas, receiving orders from gang superiors allegedly isolated in the Pelican Bay Supermax prison. She personalizes this approach by utilizing the perspectives of a Mexican-American cop and several beleaguered gangsters, who became informants, accepted plea deals for violent felonies or were themselves victims of violence. Looking beneath their pseudo-revolutionary “Cause” (“a shallow and manipulative ideology”), she portrays a criminal conspiracy fusing cold business acumen, a corporate-style structure and vicious hatred for “Sureños” (Southern California Latinos). By the late 1990s, “the NF had blanketed the state and was now running regiments in every tiny [agricultural] town.” However, the gang’s fortunes turned when then–U.S. Attorney Robert Mueller decided to pursue NF federally. Soon, even the crew’s higher-ups were cutting deals with the FBI, leading to one imprisoned teenage killer’s bitter conclusion: “The Cause…was nothing but generations of lies told to entice kids like him to do a few old guys’ dirty work.” Yet, after spawning a complex investigation, the feds desisted after 9/11, leading the local cops to decide that “the Mexican-American lives lost on California’s back-country roads were of little concern in Washington.” Reynolds concludes that the high-profile prosecutions actually advanced their power: “With each new guilty verdict the gang branched out” within the federal prison system. A sprawling, literary true-crime effort that will reward patient readers with its gloomy account of an unstoppable, violent subculture.